Holidays and Addiction = UGLY. We have had our fair share over the last 6 years. The day; whether it was Easter, Thanksgiving or Christmas or any other Holiday on the calendar I could be assure that some sort of chaos would ensue. It never seemed to fail that before dinner was even finished my addict would be insisting that someone had to take him somewhere… friends, down the street, the next town. Anywhere but where he was. I now know that it was because he HAD to score his next hit, without it he would be dope sick and that to him was uglier to face then bringing complete chaos to the dinner table. I wasn’t sure what to expect as we prepared for Thanksgiving. My son, now clean nearly 6 months was getting excited over a family holiday. I chose not to get my hopes up that this time would be different. As we sat around the table for dinner the week before Thanksgiving, my daughter asked what she could bring… normal… but what happened next wasn’t. As Thanksgiving eve rolled around off to the grocery store I went. As I gathered up the things my husband told me to get (yes he does the cooking). I also grabbed rolls. My son, though he had been paid, had not picked them up or planned as he said he would (or so I thought). When I got home and started unloading my collection of Holiday necessities, my son comes in from out back and says “good your home… can you take me to the store so I can get the rolls”… yaa about that. I have to add that this was the first Holiday that my son stayed ALL day. No request to leave. It was such a joy to sit at the table with him, have family conversation (ok it was looking through all the Black Friday adds talking about Christmas)… but most of all it was a real time of thanksgiving. Thankful that for today I have my son back. Clean, clearer minded then he has been in a long time, that we experienced family like we hadn’t in a long time. Now that is Thanksgiving. Guest Post today from my Dear Friend at Addiction Journal…. I have received many gifts from my son’s addiction to heroin. I have met many great friends across this nation ( & Canada) that are all at different points in their journeys. I wish all of their families peace and strength. I have been taught that each of the families in this addiction war can only be shown the “water” and not forced to drink. We all drink at far different speeds. Those of us further along in our recovery can only “pass the water bottle”. We as parents all approach our battles in different ways. There are no absolutes in our recovery or that of our addict child. To invite your active addict to sit at your holiday table is a very personal choice. I made my choice years ago. However it was only my choice and may not work for other families. Again we are all different. Tomorrow my son will join me at the Thanksgiving table. With over two years of recovery he is in a far better place than he was when I first started my blog. I am thankful. His addiction taught me tolerance and forgiveness . His addiction taught me that amazing gifts rise from the desperation. He taught me that all people are truly different. His addiction has taught me to tread carefully in the recovery world and investigate recovery as there are many smoke and mirror games played. The gift of experience and wisdom. His addiction has brought sincere, amazing, beautiful spirits into my world. For those friends and mentors I am thankful. His addiction taught me to be thankful for everyday. Forget about yesterday. Forget about what tomorrow might bring. Appreciate the “here and now”. His addiction taught me to get off the roller-coaster of emotions and work toward leveling life’s playing field. His addiction has taught me to Pay it Forward. He has taught me to share my hope. There is always hope! I never agreed with that statement. I have always been of the persuasion that if you have been gifted with a child you have the sole responsibility to bring that child up. Being sure you have brought them to full maturity. I have since learned that that is a falsity. Being the mother of a addict certainly has its way of humbling you, opening your eyes to reality. If I were to take FULL credit for where my two daughters are in their lives, the level of maturity they both have, the positive paths they have chosen. I would also have to take FULL responsibility for the negative path my addict son has chosen. I can’t take one with out the other. The truth is it does “take a village”. There are so many people I could list and take up much space here doing so who have poured into my daughters lives. People who have come along side them, people who have given them direction and love that have made a HUGE difference in their lives. For them I am truly grateful. Because of “the village” they are amazing young women, who are in turn pouring into other lives. So why have I felt like I have had to be the one to bring my addict son to maturity? To be the one to push him along; out of addiction, as if I could anyway. It is “taking a village”. Some of it seemingly conventional; detoxes, rehabs, halfway houses. Some of it unconventional; homelessness, hunger, jail time. And now, when I thought he should be in a Sober House somewhere… (Anywhere but home). God is using our home and the love and mentoring of a man who came into his life completely out of the blue to reach the brokenness in his heart. 12 years ago, when he began to dabble in smoking pot and drinking I began praying for a mentor for him. His dad and I had divorced, and for whatever reason his dad had walked away. I prayed fervently for someone who would come along side my boy. I have anguished over the fact that no one had ever stepped up to the plate. Those of us closet to him have tried, none of us could get through. I think he thought we were the village idiots who had no clue. Out of the blue comes a man, who has struggled with addiction in his past. A man who not only offers him a job in a trade my son enjoys, but offers him so much more. Although I know he is just a man, a man who has the potential to fail… there is a connection growing there, a trust in him that my son has never exhibited before for another man in his life. Men have have always left him or failed him. His dad; walked away when he needed him the most. His beloved grandfather passed away shortly after. And as much as his step-father has tried and extended love, he would never trust. 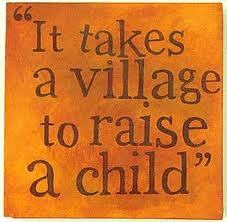 Its ok that it “takes a village”. We are not meant to be the ones to solely bring our children all the way to maturity. (Don’t get me wrong… we have a lot of work that is required of us to raise our children). I am so very thankful for all who have poured into my children, and especially now into my son, my addict. So that one day he too will be apart of the village and have so much to pour into another. On Monday I quietly celebrated in my heart the fact that my son had been clean 24 hours longer than ever before. The days leading up to it I hung on as tight as I could to hope that he would make it. He has not made it past 5 months clean since this battle ensued many many months ago. Matter of fact I wouldn’t even speak about it. I refused to. In my heart of hearts I wanted to believe he would make it and keep going. With nearly every fiber of my being I was holding out for it. But I would be remiss if I didn’t speak to the other few fibers, the fibers of fear and doubt. (The fibers that suffer from Post-Traumatic Stress Disorder.) The ones that are that small voice I hear in my head when I haven’t heard from him, or when I do hear from him. Those fibers that want to scream… PLEASE NO… NOT A RELAPSE!!! I want the majority of the Fibers of my Being to celebrate each day that he stays clean. I have learned from a friend of mine that though the milestone days are great victories, the real victory is the battle they fight daily, when the day is done and they lay their head down for the night, if it’s been a day that they have lived clean and walked in Recovery it is a day to celebrate! In this mother’s heart I will keep silent track of each new milestone (like the 6 month mark just a few days before my birthday) But I will keep ever before me that the greatest of victories is never further away than the end of the day lived clean. Here we are at the last of the SANITY principals. These 6 principals are what I cling to in this Journey. And as I continue to blog you will see them weaved in and out of my life experiences. “Here you go God, he/she is all yours I’m done”. I can’t tell you how many times I said that and meant it. Then before I even knew what I was doing I was taking my addict right out of God’s hand and trying once again to fix him myself. And truth be told I wasn’t capable of fixing anything. Matter of fact I can’t even fix myself. 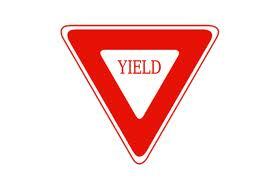 I firmly believe the first thing we need to Yield to God is: OURSELVES. We have as much hope of fixing our enabling and our need to be in charge as we do of fixing our addicts. And the sooner we admit that, the sooner we will hand our addicts over to God and NOT take them back. What does yielding oneself even look like? Because if it looks like weakness we are not apt to do it are we? It’s actually quite the opposite and if we understand that change needs to happen with us first before we can start to expect change to happen in our addict we will be willing to Yield. To let go of trying to control even our own lives. And just like our dysfunctional addicts who easily slip back into their destructive behaviors if they are not yielding their lives over, so will we. If their recovery mirrors ours, or is at least a few steps behind us, shouldn’t we do whatever it takes to begin the process. Even if it means “letting go and letting God” start with us. I have found myself right back at the enabling door ready to walk through it several times. It’s familiar, and can feel so right. I’m a parent, I’m supposed to provide and protect right? If I don’t yield over my behavior, willing open up the clenched fists with which I hold my will, and lift it up to the One who desires to work in me and through me, how pray tell can I even fathom that I would do so with my addict. Yielding over that control has to start with me, then and only then will I understand the true benefit in doing so with my addict.